Need a reason to stay at Hotel Garda? Look no further than its Gardaland proximity! These offers are thought for those who want to spend their holidays having as much fun as can be! The following rates are meant to be non-refundable. The entire cost of the stay will be charged upon receiving the reservation. 2 Gardaland Park+Sea Life tickets and one night in hotel for two people for only €179,90! 2 Gardaland Park+Sea Life tickets and one night in hotel for three people for only €199,90! 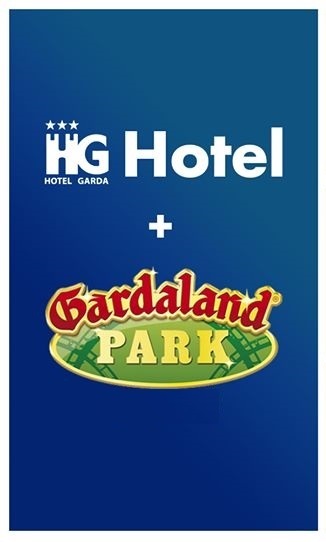 2 Gardaland Park tickets valid for two straight days and two nights in hotel for two people for only €269,90! 2 Gardaland Park tickets valid for two straight days and two nights in hotel for three people for only €309,90! Prices include breakfast and parking, while the city tax, €1 per person per night, remains excluded. Contact us at info@hotel-garda.it or call 045261260 to get a custom rate! Nous utilisons des cookies pour vous garantir la meilleure expérience sur notre site. Si vous continuez à utiliser ce dernier, nous considérerons que vous acceptez l'utilisation des cookies.OkLisez les informations.